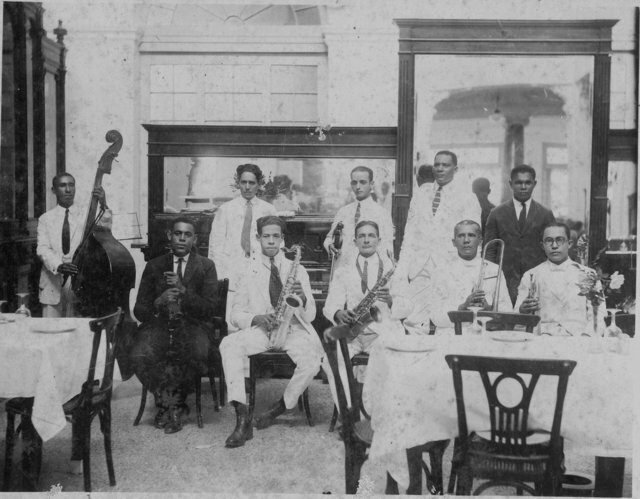 Musicians, Havana, early twentieth century. Historical Photographs from Cuba Curated by Tom Pohrt Michigan Quarterly Review Volume XLIV, Issue 4: The Documentary Imagination (Part One), Fall 2005. "Our event is one of the most important in its category in the United States. Each year, the Miami Book Fair brings together outstanding and internationally recognized writers and publishers, as well as emerging and cutting-edge authors. Thousands of readers come to the Fair and enjoy a program as multicultural as our city, with events in English, Spanish, and Creole. The Program of Ibero-American Authors of the Fair is unique in the country, and it summons more than 80 writers each year."